The Economic Alliance is recognized as a key resource in growing the vibrancy of core business districts. The Community Development core function is focused around growing core central districts in Cedar Rapids and supporting surrounding communities. We work to implement and support strategic plans for the following Metro Area Core Districts. One of the Economic Alliance’s core functions is Community Development, which includes growing core central districts in Cedar Rapids and supports our surrounding communities in their efforts. Downtown Cedar Rapids and Kingston are full of life! The districts feature a variety of dining and shopping options, a vibrant arts and culture community, and exciting nightlife. The MedQuarter Regional Medical District was created as the result of Vision Cedar Rapids 2007 and the 2009 Neighborhood Planning Process. The Czech Village/New Bohemia District was formed in May of 2009 to breathe economic life into a historic area of Cedar Rapids. Marion is vintage and hip, nostalgic and new, and Hiawatha started in the 1950's, having now emerged as one of the fastest growing communities in Iowa! There’s an exciting energy surging through our community as historic cultural venues reopen, unique restaurants and fantastically modern spaces blossom, and neighborhoods are renewed. 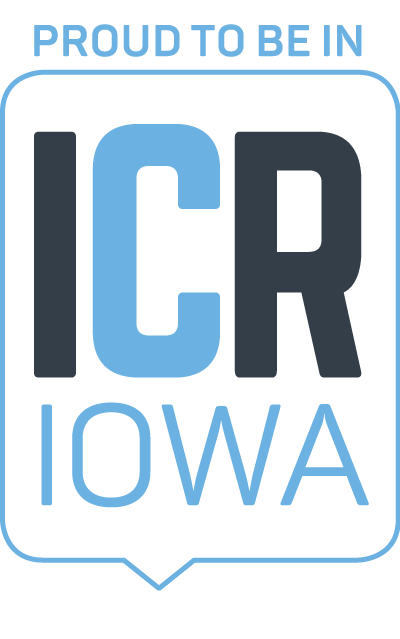 ICR IOWA is anchored by the crossroads of Interstates 80 and 380, and includes the seven counties of Linn, Johnson, Benton, Jones, Iowa, Cedar and Washington. The Economic Alliance is playing a part in assisting the City of Cedar Rapids with flood protection efforts through public policy advocacy and community outreach.